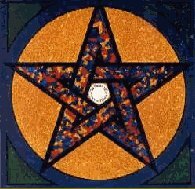 This album, released in 1968, at the peak of the Pentangle's career, is probably the most representative of their work. A sprawling two-record set, half recorded in the studio and half live at the Royal Festival Hall, showcases just how versatile the Pentangle were in their unique brand of English folk, jazz, Celtic, blues, and pop styles. Some of the live covers are easily their finest performances. Furry Lewis' "Turn Your Money Green," sung by the delightful Jacqui McShee, swings sweetly, buttressed of course by Renbourne and Jansch's guitar tapestry. Charlie Mingus' "Haitian Flight Song" features a great solo by bassist Danny Thompson, who was easily one of the finest musicians to grace the instrument. The studio tracks are uniformly excellent as well, especially "The Time Has Come," which turns waltz time inside out. McShee, Renbourne, and Jansch all turn in career performances on this track. But these examples merely scratch the surface of the Pentangle's peak. An awesome and delightful collection, and probably their finest hour.